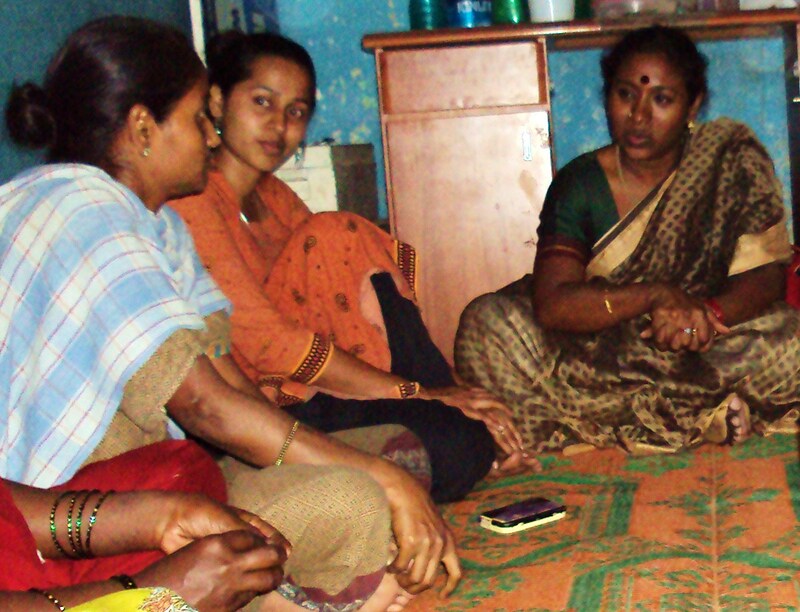 Measuring the outcomes of the deliberative dialogues is an essential aspect of this project. How do we determine whether the dialogues have had any concrete benefit to these women, and if they have not, how do we tweak the program in order to create those benefits? For ‘usefulness of the program’, we used statements such as ‘I was able to understand the overall content of the dialogue’, ‘I will speak about this program to my friends and relatives’, and ‘I will strongly recommend people I know to attend a similar program’. For ‘specific activities’, some statements we used were ‘I am open and frank about my feelings’, ‘I will suppress any disagreement or anger to safeguard my family prestige’, and ‘People often take advantage of me’. For ‘ability to face life’, the statements were ‘I feel helpless and overwhelmed when faced with challenges’, ‘I have new solutions to address overwhelming situations’, etc. With the first group, we ran a quick initial outcomes measurement where we asked the women to answer some of the questions. They were very forthright in answering them and had a lot to say. We wanted something more structured where we could have definitive measures of the outcomes, so I was eager to give them the written questionnaire. However, the issue has become one of time. It simply took too long for volunteers to sit with each one of the women and read off the entire questionnaire to them. In addition, we would need to train the volunteers not to unduly influence the women’s answers. I had not fully realized what a time-consuming process it can be to fill out a simple questionnaire when your participants cannot read or write. We are now looking at some alternatives. The first is to drastically reduce the number of questions so that the process can go more quickly. Another option is to run more of a focus group where the women can discuss whether the dialogues have been helpful to them, how it has been helpful to them, and how it could be improved to better meet their needs. But this may also be time-consuming. Finally, we could look at the specific goals each group has decided on, if the group has met the goal, and if not, what are the challenges to meeting this goal. It will take a little more thought and discussion to figure out an accurate measure of the dialogues, but we have some viable options to explore.